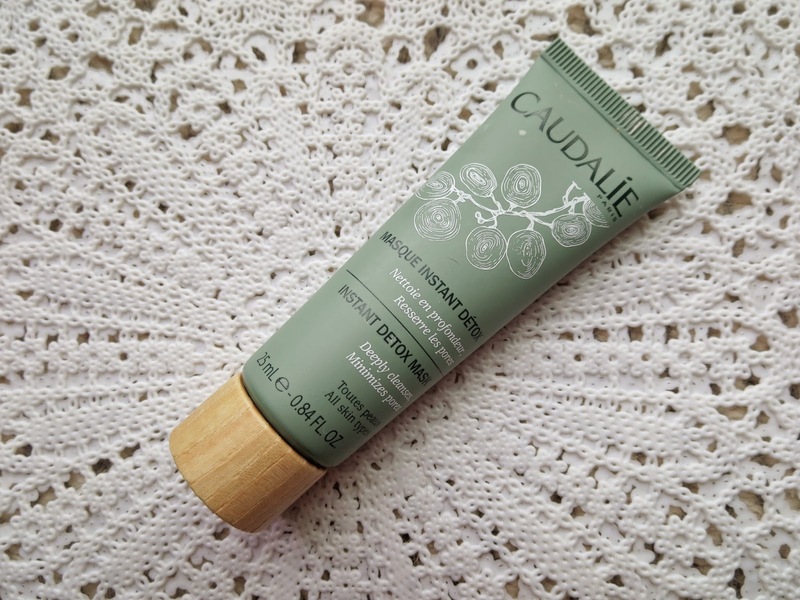 Caudalie Instant Detox Mask - I got a deluxe sample with a Sephora purchase and this is another hit. This one has Grape Marc to detoxify and drain the skin, Pink Clay and Coffee to purify, Papaya Enzymes to help brighten the skin and Eight Essential Oils (including lavender) to help nourish. 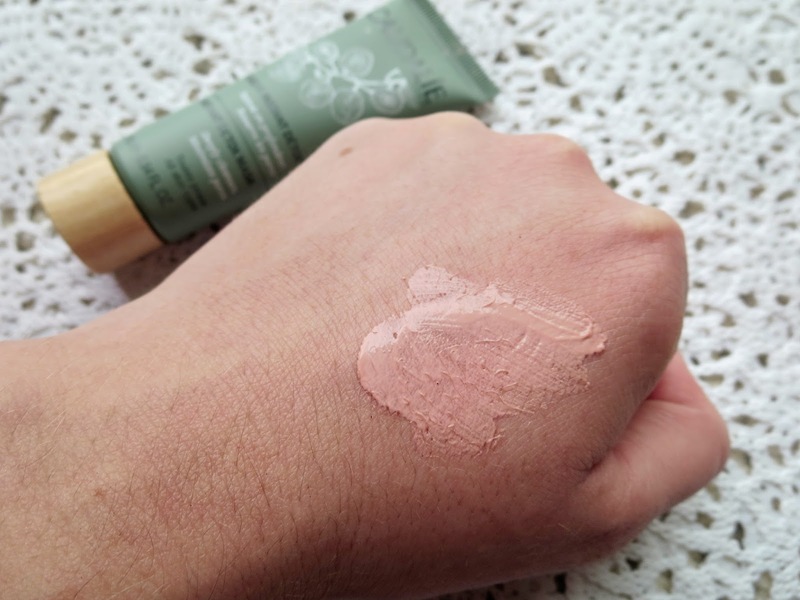 This is a flesh colored paste, so you look like you have really thick, gross foundation on, but to me it's also reminiscent of calamine lotion. And in fact, I find the best description for it is "soothing". I feel like it really helps calm the skin and purify it. I like to use this one when I do have bumps and things. I'm sure the Peter Thomas Roth one would help with that too, but I more so use that one to help keep things clear and bright, if that makes any sense? Again this masks only takes 10 minutes and doesn't dry out your skin but it does harden up a bit. Peter Thomas Roth Pumpkin Enzyme Mask & Cucumber Gel Mask - You can check out the blog post HERE. Origins Out of Trouble 10 minute Mask - You can read my review HERE. 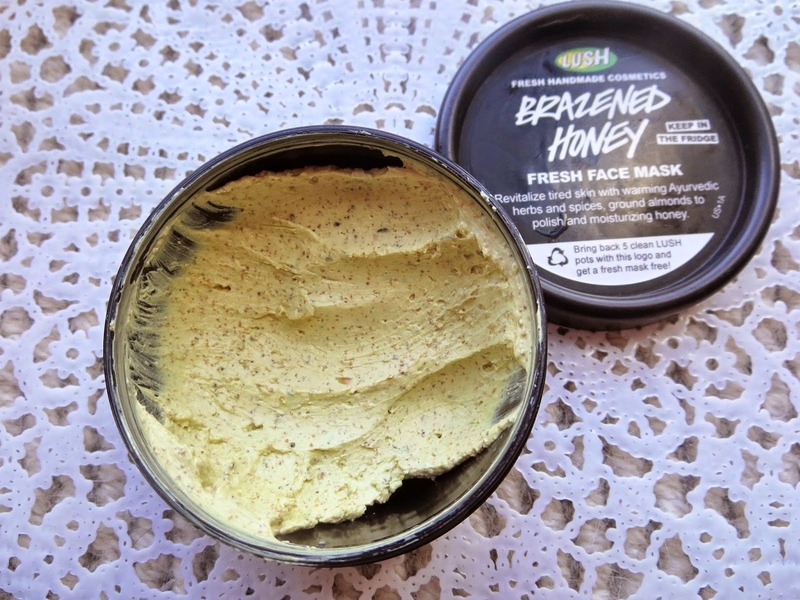 Lush Brazened Honey Fresh Mask - I talked about in my Honey Skincare Post, but seriously, the Lush fresh face masks in general! Who doesn't have 10 minutes to pamper themselves? Give one of these a try (or all of these, I'm not judging) and let me know how your skin feels! I seriously can't recommend these enough! And also I feel my skin has shifted through the entire spectrum of skin types lately, so they're really suitable for all.